I will be the first to admit, I am not a fan of Roman Reigns. He isn't as charismatic as a Miz or a Braun Strowman, as great of a wrestler as a Seth Rollins or an AJ Styles, as good looking as a Finn Balor or a Mustafa Ali or as interesting as a Dean Ambrose or a Rusev. What I do admire Reigns for is his ability to stick out even the most maligned times and not look like on the verge of collapse from the seething waves of hatred sent to him by the overwhelming majority of internet and male fans every single day. I say that because over the past two months, Roman Reigns should have gotten better treatment from his biggest supporter: Vince McMahon. The tale starts at the Elimination Chamber. After Roman Reigns beats Braun Strowman to be the last man standing in the Chamber, instead of celebrating his victory, he is immediately murked by Strowman and gets put through a pod by Strowman's running powerslam. Little did we know that would be a good analogy for the next two months since he would be feuding with someone who is about as stiff and uncaring about the business as the cage itself: Brock Lesnar. I previously stated in a prior commentary that Brock Lesnar doesn't give a damn about the WWE, the people who work there and more importantly, the people who pay the money to go see him. 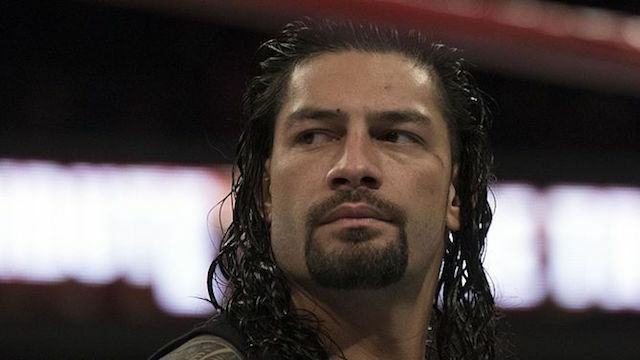 So, you should think that the smart business decision is to make Roman a conquering hero throughout the build for WrestleMania and when he beats Brock Lesnar at the Show of Shows, he becomes this badass who slayed the Beast and see him off to UFC where he can get beat up by Alistair Overeem again. They should have hyped this up to be a massive fight, but instead they made Roman Reigns into a moaner and how Brock Lesnar is "Vince's Boy." While it is true that Brock is Vince's Boy, Roman is also Vince's Boy and enjoys the same amount of perks and privileges that Brock has. So when we see Roman trying to act like he isn't, the audience rolls their eyes and just waits for both of them to get to WrestleMania and beat each other's brains in. What also doesn't help Roman's cause is that when Brock is there, he murders Roman or always gets the upper hand on Roman. This is made apparent when Brock brutalized Roman with the chair when he was handcuffed and on the go-home RAW, Roman gets some licks in, but eats an F5 and Roman is left laying. Mania comes and we're expecting a brutal match full of stiff hits and blood and just two behemoth's going at it. Instead, it became the worst match on the card with Brock just doing Germans and F5s. Because Roman didn't have an opponent who cared, he didn't care either and just did Superman Punches, Spears and Drive Bys. To make matters worse, the notion going on was that Roman was winning to take the title off of Brock Lesnar. But since Brock played the "I'm Going to UFC" card, Vince acquiesced and renewed his contract. Doing that, Brock retained, making Roman look more like a joke. I forgot one thing about all of this: Roman was busted open hard way and that is usually the key to go into rampage mode. Instead, Superman became little more than Jimmy Olsen. It was completely embarrassing. After Mania, we all figured the next thing was Double or Nothing inside a cage. But instead Roman is made to give this whiny promo about how "he wasn't smartened up" to what was going on and that "Vince couldn't look him in the eye." So, the expected badass got turned into a whiner and a conspiracy theorist. This was further sealed when at the Greatest Royal Rumble, Brock botched the finish and didn't get his feet off the cage first, so Roman was made to look like a complete goof and have his feet on the ring apron. So all of the whining comes to a head and now he's claiming to be the Uncrowned Universal Champion when his feet were on the ring apron and Brock got his off first. In the span of a couple months, Vince turned his golden goose into a lame duck. As reported by multiple sites, Roman Reigns is a merch seller and can put on good matches, if paired with the right person. Not only that, if you listen to a lot of his interviews outside of WWE, he's actually quite personable and has the star power around him. Instead, Vince put him in a no-win situation by becoming a hypocrite, a whiner and overall unpleasant to watch. Before the "Vince's Boy" promo, even the most ardent Roman Haters out there wouldn't say that he was a whiner or a hypocrite. Now that he is all of those things and entitled to the Universal Championship, his stuff has become harder and harder to watch. Add in Jinder Mahal into a feud and you have a recipe for disaster where I doubt Roman can ever recover having three awful months in a row, and none of those are his fault. In conclusion, I feel sorry for Roman as he's been put in almost impossible situations with some of the worst booking, worst promos to have to cut, worst opponents for his style, and to top it all off, his biggest fan turning on him to fuel a petty erasure of 0-1 UFC Fighter CM Punk and his 434 day reign as champion, the longest in years. Roman is just a victim of circumstance and he shouldn't have to be. Thanks, Vince. The one person you had faith in is now another one in a long pile that is ruined by the actual Beast Incarnate: You. You cow tow to anyone that had a smidge of mainstream popularity and ruin your business because of it. You did it with Hogan in 1990 by not putting full faith behind Ultimate Warrior and you're doing it now to Roman Reigns. I may not like Roman, but at least he puts in the work to merit him being champion and not some roid monkey in Lesnar. EDITOR'S NOTE: Nikki Heyman wrote a related editorial.